Barbara Bye 77, died Friday, January 18, 2019 surrounded by her loving family. She was born to her dear parents Agnes (Fiorino) and Eugene Napoleon on July 4, 1941. Barbara loved her family and was a devoted mother, grandmother, aunt and loyal friend. She was a kind, caring, generous woman. 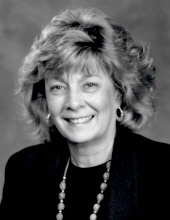 Barbara was a committed citizen and served in many facets of the community. She was a former Mayor of Branchburg, a Township committee woman, the original founder of Country Fair of Branchburg, Piscataway Chamber of Commerce, Board of Adjustment - Branchburg, Board of Education in Piscataway, Olde Towne Homeowners Association, Director of New Jersey One Call, member and officer of the Somerset County Federation of Republican Women. She currently worked for the Somerset County Sheriff’s Office as Confidant Aide to Sheriff Frank Provenzano. Funeral Mass will be Friday, January 25 at 11:00am at St. Ann Church, 45 Anderson Street, Raritan, NJ. To send flowers or a remembrance gift to the family of Barbara Bye, please visit our Tribute Store. "Email Address" would like to share the life celebration of Barbara Bye. Click on the "link" to go to share a favorite memory or leave a condolence message for the family.